As the world's premiere resource for providing comprehensive ice carving instructional programs for culinary colleges, independent ice carving classes, and other instructional venues, AICD has labored to create the highest standards, competencies, and accountability possible. 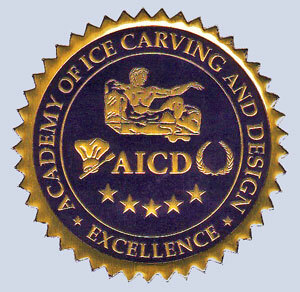 For filling positions that require highly qualified ice carvers with safe carving habits, the professional ice carving and culinary industries can depend upon instructional programs that have been awarded AICD's coveted accreditation. AICD's comprehensive program of accreditation will help to assure that your school will be recognized and valued for what it provides its students. In addition, when your school is awarded AICD's Ice Carving Program Accreditation, you will gain a competitive edge because prospective students will have more confidence that your program will provide what they need. "As soon as I walked in to Paul's home and studio it was obvious that countless hours have been put into the design of AICD. The studio is perfectly formatted to train and learn every aspect of ice carving and design. Paul has not missed one detail to train professionals at the highest level. After completing the Certified Instructor of Ice Carving program through AICD, I am very confident that I can take the years of knowledge Paul has passed on to me to effectively train young students at a high skill level. 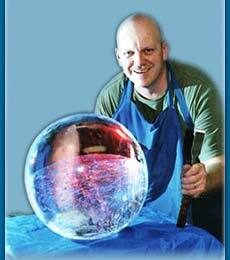 I would recommend AICD to anyone who has the will and dedication to be an excellent Ice Carver. I look forward to taking my newly acquired skills to the culinary industry and showing off my talents. I am also looking forward to the partnership between AICD and the Job Corps centers throughout the United States. In doing so, I will be able to professionally certify our students through the accreditation we have recieved through AICD." Paul Germain will personally assist your school in meeting the requirements associated with being accredited. Paul has over 35 years experience in the ice carving industry, 20 years experience as an educator, a professional Teaching Credential in Art, a Master's degree in Instructional Leadership with a emphasis in Curriculum and Instruction, and extensive experience in the culinary arts as both a chef and food artist. He has been honored by the U.S. Congress for his students' achievements (earned Best of Show for two consecutive years in the Congressional Art Competitions), and has been featured in national magazines as well as over 75 national and international feature news broadcasts. Professional fees associated with the process of accreditation can vary significantly. On average, schools should budget approximatley $2,500 to facilitate the entire accreditation process. This is in addition to the customary expenses related to travel and other factors associated with site visits. For schools desiring in-depth assistance with designing curriculum that is tailored for their particular educational programs and physical settings while at the same time fullfilling the requirements for AICD accreditation, such services are usually billed at $1,250 per day. A Complete Startup Program is available for schools that desire a total course development package. This program includes training of your ice carving instructors, custom curriculum development, and also AICD accredition once your training program is fully equipped and actively providing instruction.